The building housing Bank of America branch 14391 at 152 Great Road in the Bedford Marketplace is set to be demolished at the end of the month. 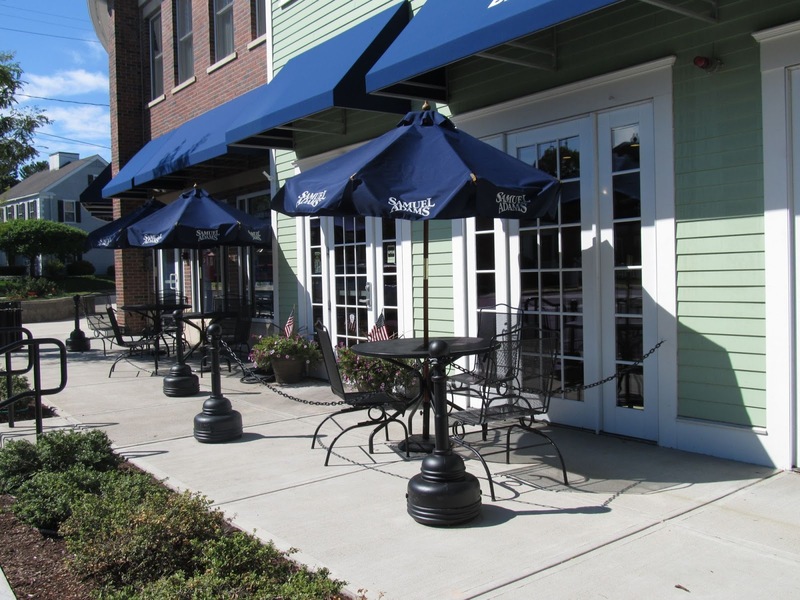 The building also houses b.good which has already closed, and Cafe Luigi which is expected to close on August 29th. 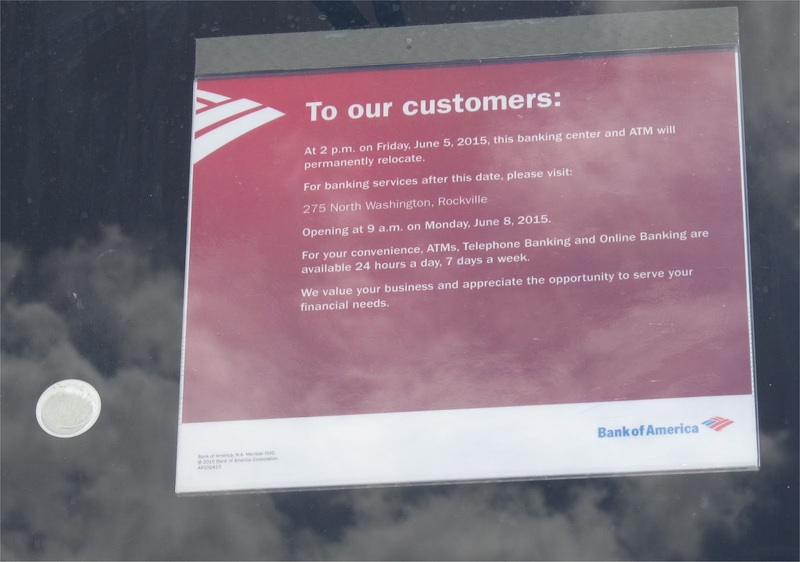 While the Bank of America Branch is set to open in the new building under construction along Great Road, it's expected to be a month or two before it will be ready. So in the meanwhile, Bank of America has trucked in a 925 square foot custom trailer to act as a temporary branch until the new location is opened. The temporary branch also contains a ATM and an overnight deposit drop box. Bank of America moves this trailer across the country as needed. From an old sign on the trailer door, it appears this temporary branch was last used at an shopping center at 255 North Washington Street in Rockville Maryland, while a new branch was being built next door at 275 North Washington Street. The temporary Bank of America branch is being housed in between the Marshall's and Whole Foods front entrances. 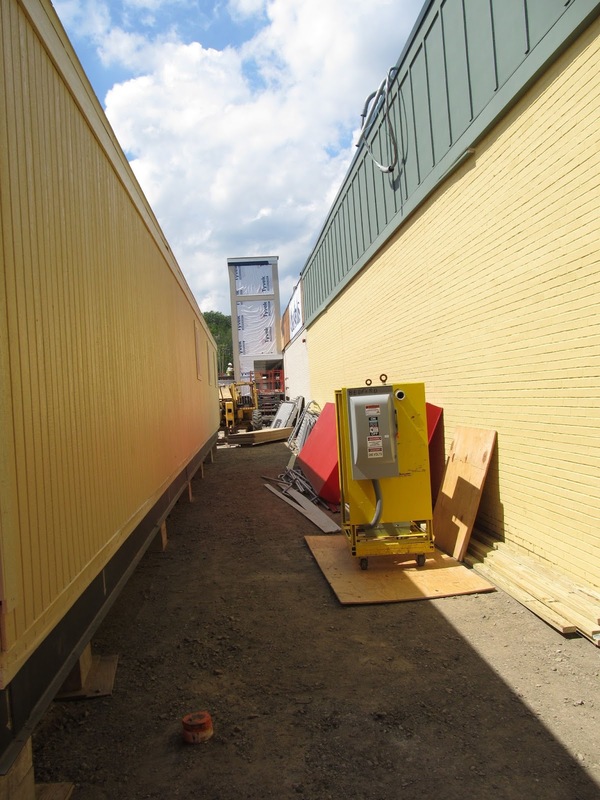 Electrical power still needs to be hooked up to a temporary transformer. 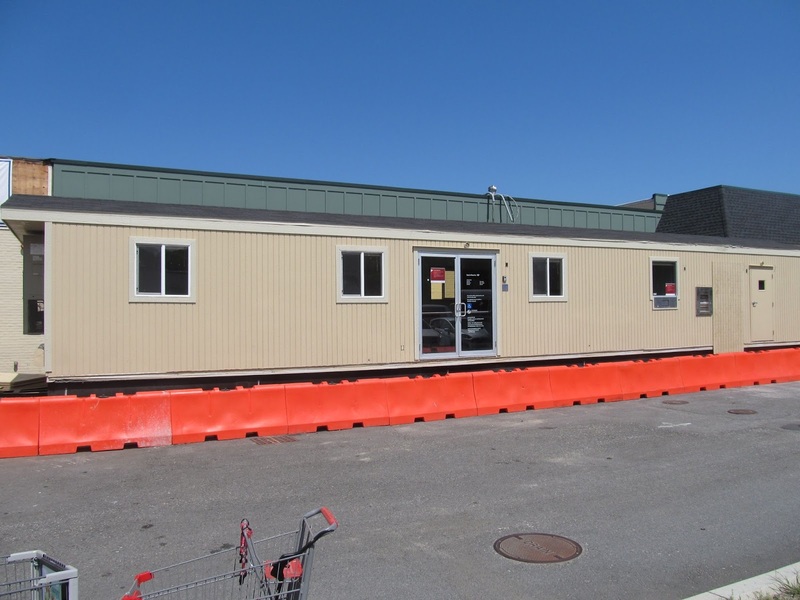 The trailer is expected to be ready to before the existing branch closes on August 28th. It's interesting that Bank of America is going to great lengths to open a temporary branch for the relatively short amount of time between when the old branch closes and the new one opens. 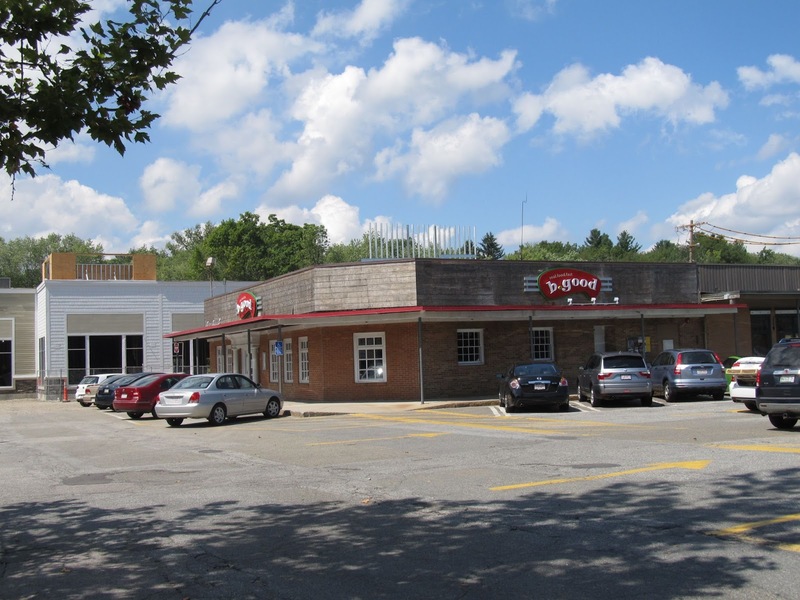 This might be due to the fact there are four competing banks (Brookline, Cambridge Saving, Middlesex Savings and TD) within a few hundred feet of the existing branch so Bank of America does not want to take the risk of having customers defect. The new Bank of America Branch is expect to be housed in the new white building under construction behind and to the left of the existing b.good. The new branch location will also house a drive-thru. 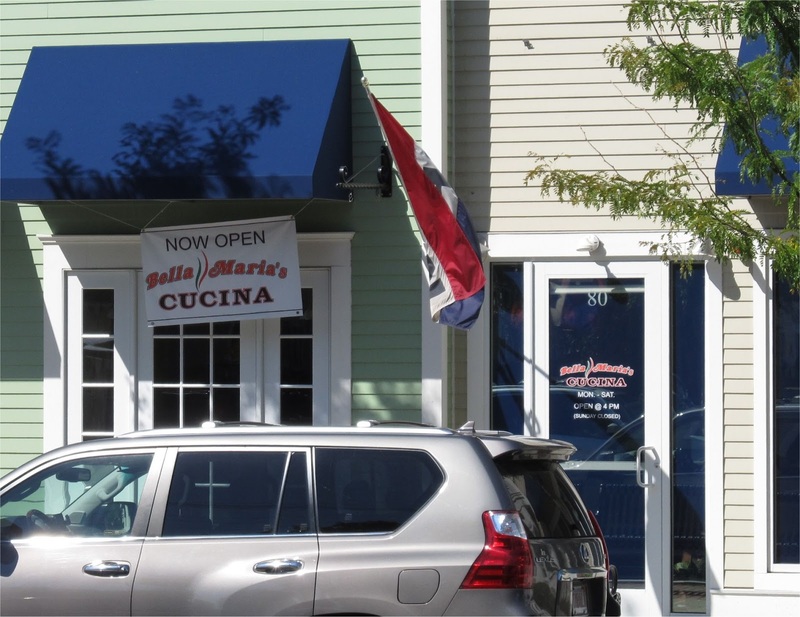 While the current building is expected to demolished in September, Bank of America and b.good should reopen before the end of the year in the same building while Cafe Luigi is expected to reopen next spring in a different location in Bedford Marketplace. It's not clear if the existing Bank of America branch number (14391) will change. 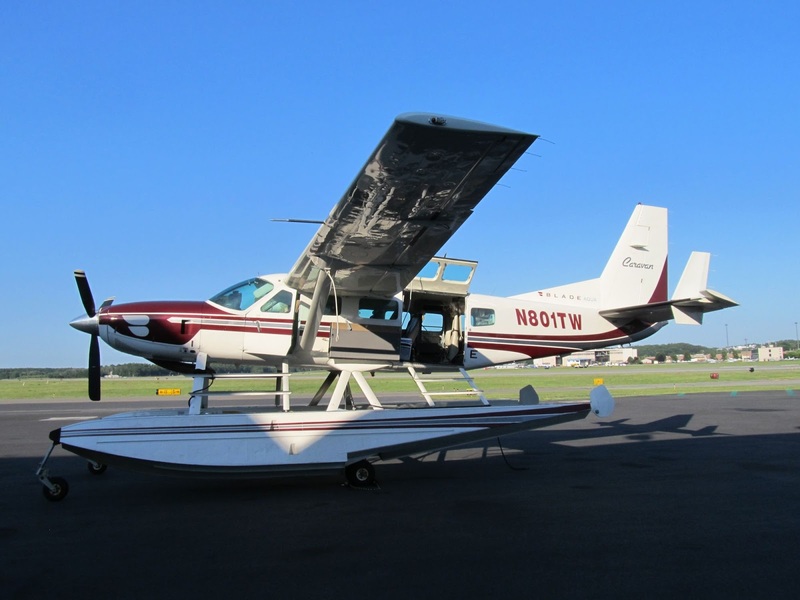 Last month, Tailwind launched a non-stop seaplane service between Hanscom Field in Bedford to New York City via the Skyport seaplane terminal on the East River at 23rd Street. Tailwind operates under an FAA Part 135 “On Demand” Air Carrier Certificate enabling it to conduct on-demand air charter and air taxi operations for hire. Rather than use the regular civil passenger terminal at Hanscom, Tailwind operates out of Rectrix which is a new Fixed Based Operator (FBO) which opened in Bedford in 2014. The three FBO's in Bedford primarily service corporate jets along with General Aviation. 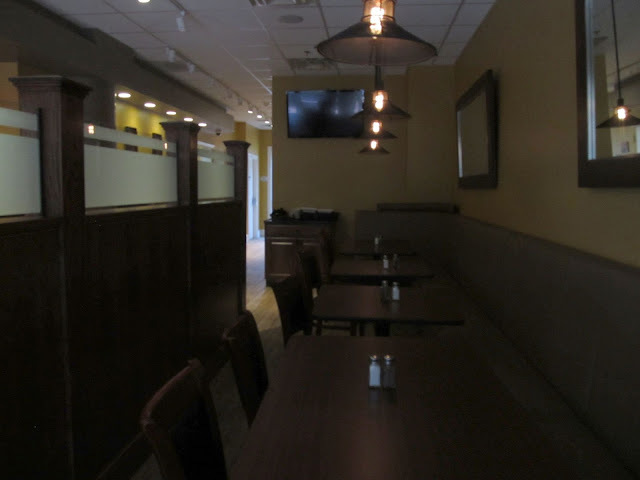 Rectrix provides a much more relaxing environment to wait for your flight than your typical passenger terminal. The seaplane service is designed for people who need to travel from the Bedford Area to NYC just for the day. The idea being that it saves a lot of time by avoiding having to travel from Bedford to Logan Airport and then from LaGuardia Airport to Manhattan and back. Tailwind flies on Tuesday, Wednesday, Thursday and Saturday leaving Bedford at 7:30 am and arriving in Manhattan at 8:45 am. The return flight leaves the Manhattan East River at 4:45 pm and arrives in Bedford at 6 pm. According to Tailwind, you need to arrive 20 minutes before the scheduled departure and there is no TSA screening at the Seaport in Manhattan. To get to Manhattan by 9 am via Logan, you would have to leave the Bedford area around 5:30 am to catch a 7 am flight and then leave Manhattan by 2:30 pm to catch a 4 pm flight to get back by 6 pm. I would estimate you would save over 4 hours and avoid paying for taxis to and from the airports. Rectrix also offers free parking for Tailwind customers. 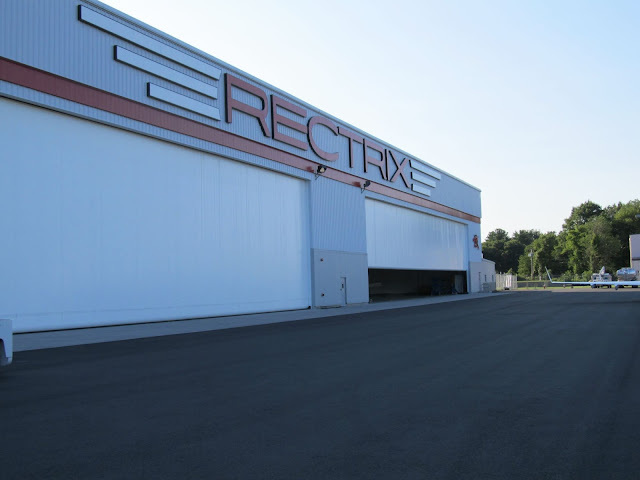 The airplane hanger space at Rectrix comprises 60K square feet and is currently 100% occupied. In addition to the Hanger space, the building has over 20K square feet of additional space which is split among the FBO lobby, office space for Rectrix Corporate Headquarters and office space it leases out to it's corporate clients. 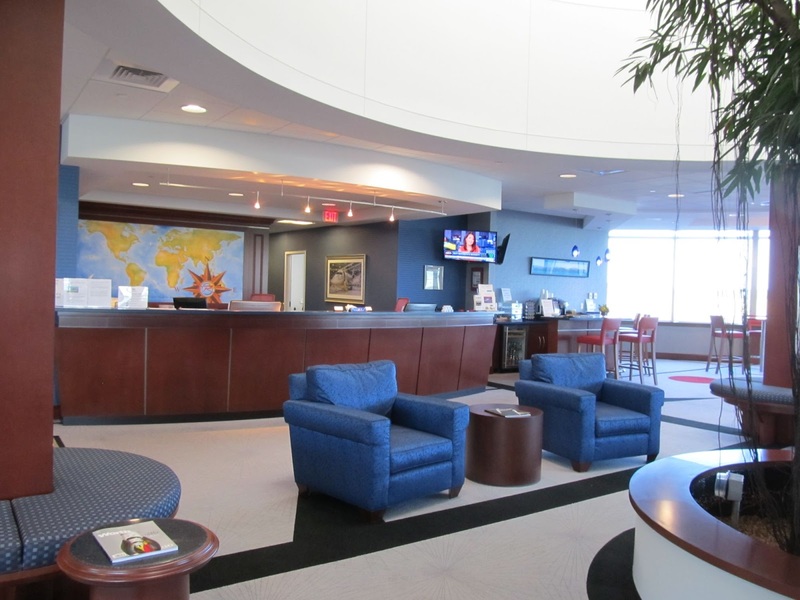 The Rectrix FBO lobby includes plenty of space for clients and pilots to relax between flights. 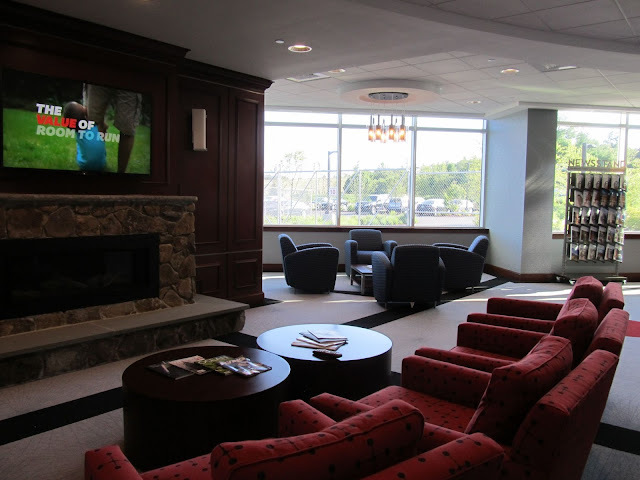 The FBO also has conference and meeting rooms, a lounge for pilots and a weather and flight-planning center. This Tailwind airplane was built in 1999 and is powered by a 675 Horsepower Pratt & Whitney Turbo-prop. The flight to Manhattan takes about an hour and 15 minutes. Rectrix is adding a restaurant which will be open for Breakfast and Lunch and should also be open to the public. 1. It will be interesting to see if business travelers take advantage of the Tailwind Service. 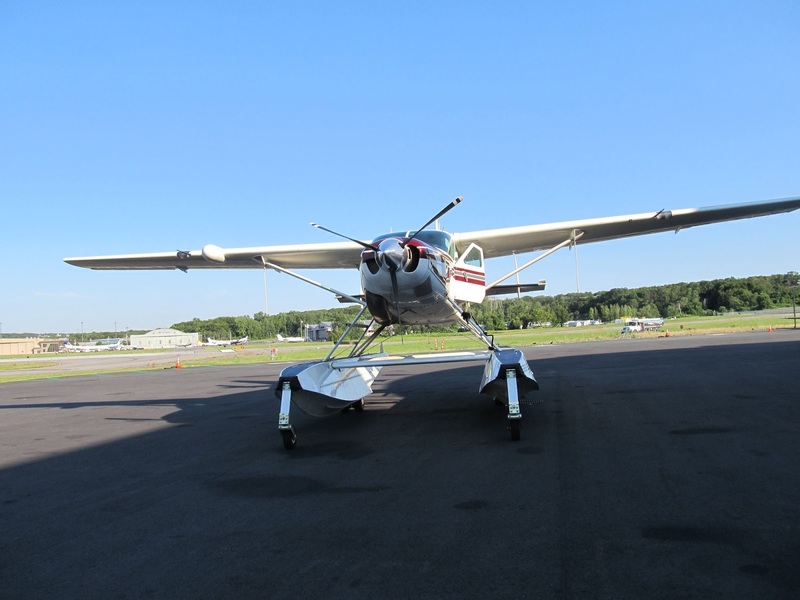 Over the past decades there have been several attempts to schedule flights between Bedford and the NYC area. Tailwind seems to be taking a unique approach by flying directly in to Manhattan. 2. 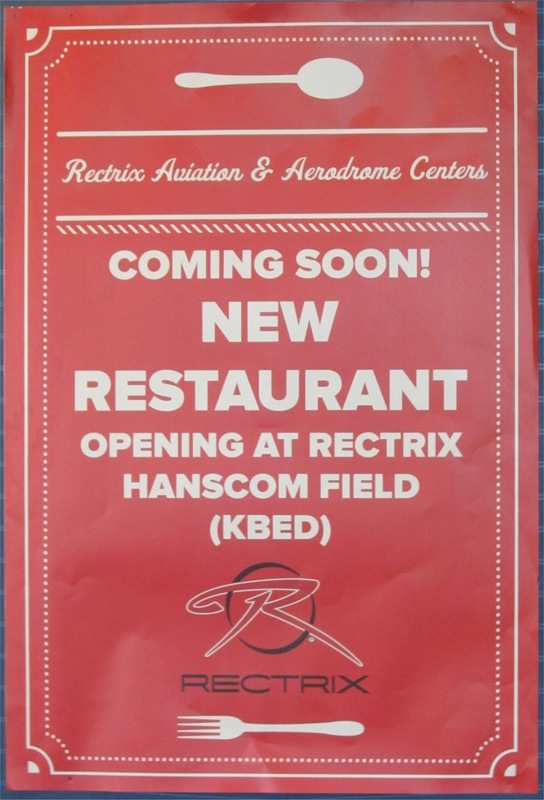 It seems to be a smart idea to add a restaurant at Hanscom Field. 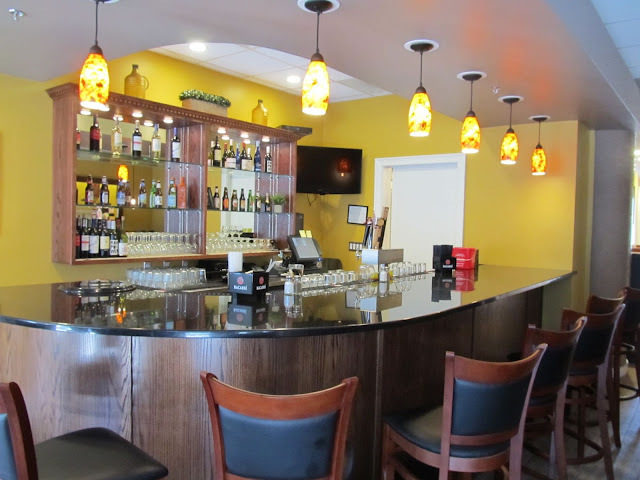 This provides a nice amenity for the airport and may also attract workers from the nearby office parks off Virginia road in Concord as there are presently no other restaurants nearby.